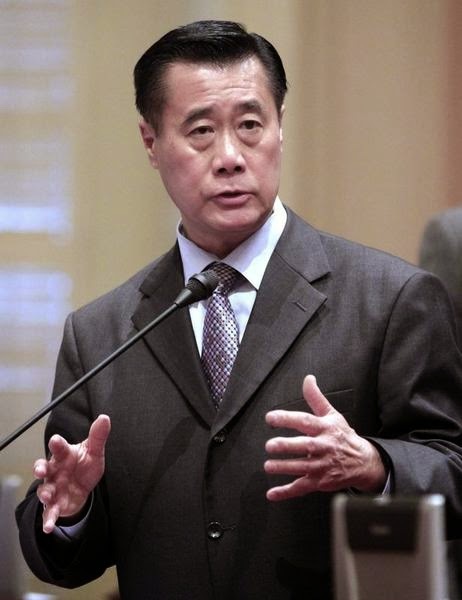 State Senator Leland Yee doesn't think people in his state should be able to own AR-15's. In other words, Yee is a typical gun-grabbing politician. But he has a secret. gun control legislation asked for campaign donations in exchange for introducing an undercover FBI agent to an arms trafficker, according to court documents unsealed Wednesday. The allegations against State Sen. Leland Yee were outlined in an FBI affidavit in support of a criminal complaint. The affidavit accuses Yee of conspiracy to deal firearms without a license and to illegally import firearms. He was arrested Wednesday. Yee discussed helping the agent get weapons worth $500,000 to $2.5 million, including shoulder fired automatic weapons and missiles, and took him through the entire process of acquiring them from a Muslim separatist group in the Philippines to bringing them to the United States, according to the affidavit by FBI Special Agent Emmanuel V. Pascua. Yeah, we gun owners wanna be free, too, scumbag. But you wanted to put even more burden on the 2nd Amendment rights of my brethren in California, trying to repeal even the "Bullet Button" law that let them have some semblance of a magazine-fed semi-automatic rifle. You wanna be a free agent? Sorry, SanFran, we'll see how federal prison suits you. Tyrant. Dulce et decorum est -- it is sweet and fitting. Sic semper tyrannis -- Thus always to tyrants.